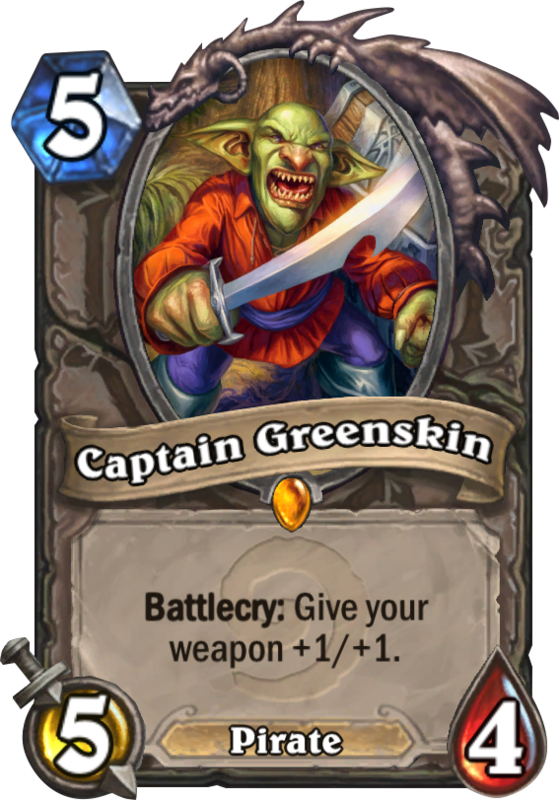 Captain Greenskin is a 5 Mana Cost Legendary Neutral Minion Pirate card from the Classic set! 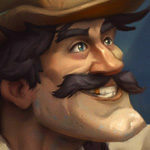 He was this close to piloting a massive juggernaut into Stormwind Harbor. If it weren't for those pesky kids! Rating: 2.9/5. From 381 votes. Is good enough for aggro pirates deck. I have seen some pirates warriors running him and hits perfectly the archetipe. So this is a thing if pirates decks are a thing. 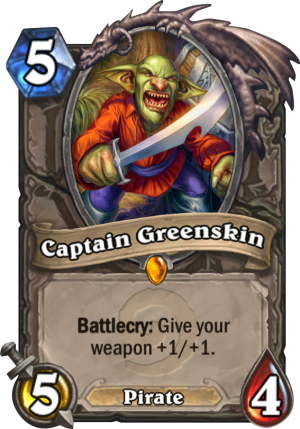 So I wont say its super good but its a valuable card in a certain deck. Is classic So it worth keeping him. Even more if you like pirates! This card would be good for a common, but junk as a legendary. Scrap for the dust.